On 25th April 2016, the trade unions, GMB and Unite, joined forces to launch a campaign to free Kurdish leader Abdullah Ocalan from prison. The launch took place at a meeting at the Houses of Parliament packed with members of the Commons and the Lords, Journalists and members of the public. Speakers at the meeting, chaired by Scottish MP Natalie McGarry, included Bert Schouwenburg (GMB), Steve Turner (Assistant General Secretary Unite the union), Stephen Smellie (Peace in Kurdistan Trade Union Liaison and Scottish Deputy Convenor of Unison), Simon Dubbins (Unite the union), Lord Rea, and from Kurdistan, Democratic Regions Party (BDP) co-chair Kamuran Yüksek and Peoples’ Democratic Party (HDP) MP in the Turkish Parliament, Dilek Öcalan. 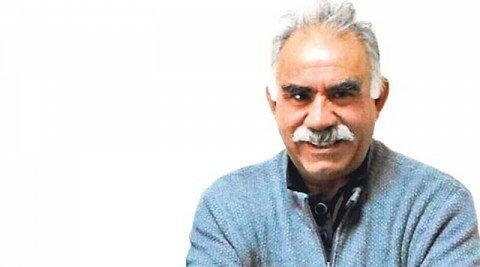 The unions intend to build the campaign by involving trade union members across all unions, MPs of all parties and the general public in demanding that Ocalan be released from prison in order to lead the negotiations for peace in Turkey. She explained that the HDP had put forward proposals for, ‘Societal Peace and Resolution to the Kurdish Question’ in the Turkish parliament. Kamarun Yuksek told the meeting that Ocalan’s freedom was very important for peace and a democratic solution, not only for Turkey but, for the Middle East. Ocalan is, “against religious nationalism and individual sectarianism.. the cause of conflicts in the Middle East and the conflict between the Middle East and the West. Integration of the Middle East and Europe can only be achieved through democratisation. Ocalan stands for the democratisation of the Middle East and for peace. Unite Assistant General Secretary Steve Turner said that for too long unions had ignored the plight of the Kurds and that this needed to be rectified. “Britain played an important part in the pains suffered by the Kurdish people, for this reason it is important to launch this campaign in the UK Parliament”, said Turner. He also stressed that it was not possible to conduct peace negotiations while one of the two sides was jailed and deprived of basic human rights. “This has to stop and the British state should help do it. This parliament shouldn’t accept the actions of the Turkish state,” he added. Further messages of support were received from Sinn Fein MPs and the current General Secretary of the GMB, Tim Roach.